Light & Darkness Radio: Featured Today! "Euphoreon, Highland Glory..."
Featured Today! "Euphoreon, Highland Glory..."
Ready for today bands? Just before, I want to thank all of you to be part of L&D your support is uber appreciated! now here's today bands! Euphoreon (DE/AU) - Euphoreon is a German/New Zeland band originally formed as a solo project band by Matt Summerville from New Zeland in 2009. Musically, Euphoreon has strong scandinavian and Euro melodic metal influences, combining harsh vocals with strong melodic hooks. A home Demo called "Before The Blackened Sky" followed soon after in March of '09 gaining positive feedback from the community. Matt continued to write songs with the hope of finding someone to produce a full-lenght. In November 2009 by chance of fate Eugen Dodenhoeft crossed paths from Germany he joined the project as producer, guitaris, and back vocals this gave Euphoreon a more Pro sound. Now with their new album named "Euphoreon" released this year 2011 this band have a bright future the album is full of melodic riffs with harsh/clean voices that hook you and take you to a new reality! Highland Glory (NOR) - With a history as norwegian power metal pioneers Phoenix Rizing, who released 2 albums worldwide ; "Rise From The Ashes" (1998) and "Eternal Crusade" (2000), the band changed singer and formed Highland Glory in the spring of 2001. With a fresh new start and an increased potential, the band developed their style of melodic metal in a heavier and more traditional direction on the debut album, "From The Cradle To The Brave" (2003). Due to the versatility of the new line-up, the material took a more diverse, atmospheric and epic direction. The artwork was created by Mark Wilkinson (famous for his work for Marillion, Fish, Iron Maiden, Judas Priest etc), who has worked for the band ever since. Still signed to Face Front for Scandinavia (the label run by Frode Øien, chief editor of Scream Magazine), but the debut album was licenced to Massacre records for the rest of the world. The follow-up "Forever Endeavour" (2005) took the different aspects of the bands sound even further, showing a natural progression. In the autumn of 2007 singer Jan Thore Grefstad left the band, and in the winter of 2008 the band finally found a worthy replacement in Trine Elise Johansen. The change from a male to a female singer naturally affects the bands sound, but the trademark is still intact on the long-awaited new album "Twist Of Faith" (2011), yet the band have developed in a more mid-tempo and melodic direction, and is the bands most versatile album yet. The plan for the future is to spread the word, music & glory of the highlands! Guardians Of Time (NOR) - Sometime in 1997 a handful of bored Norwegian metalheads were drinking beer at the local pub. Someone came up with the idea to form a band. What started out as musicians killing time, soon developed into something a lot more more serious. Their first demo landed them a record deal, and the debut album “Edge of Tomorrow” was released in 2001. The album received great reviews and the band made loyal fans all over the world. Both a Brazilian- and a German fan site were made by devoted fans. The band did shows all over Norway and played almost every metal festival in the country. The second album “Machines of Mental Design” was recorded in 2004. This time the album was released through Massacre Records in Europe, Spiritual Beast in Asia, The End Records in USA and FaceFront Records in Scandinavia. “Machines of Mental Design” received great reviews all over the world. The music was by many labeled as “thinking man’s metal” and were often compared to the epic masterpiece “Operation Mindcrime” for its well thought composition and lyrics. Guardians of Time joined the 2004 “Scream Tour” playing all over Norway, and pivoted by playing at Norway’s biggest festival, the “Quart Festival”, opening for Slipknot on the main stage, proving that Guardians of Time had indeed become a great live act. During 2004 two of the members quit, leaving the band in limbo. Bernt and Paul were the only members that would still be involved in music the next years, and though other bands were joined and formed (Paul played in Trail of Tears), the legacy of the Guardians could not be forgotten, and an urge to continue this legacy was ever present. Finally the time had come for the Guardians of Time to rise once again! The year was 2009, and a new line-up was shaped. The main songwriters of the band, Bernt Fjellestad and Paul Olsen teamed up with guitarist Bent Lindebø, drummer Øivind Vågane and bassist Jonkis to bring the band back to life, and to take it to new heights! Guardians of Time have completed their 3rd album these days. Recorded in Mayhem-music studio. Produced by Audun Grønnestad, who has worked with such bands as Trail of Tears, Angel and Imperia. This is the bands strongest album to date, rock solid songs and musicians that are more determined and more experienced than ever before! Guardians of Time are under contract to Mayhem Music (Norway). The record will be distributed world wide through Indie Distribution and promoted by Metal Revelation. Featured Today! "Soilwork, Dark Moor..."
Featured Today! 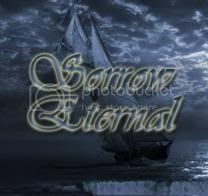 "Sirenia, Symphony X..."
Featured Today! "Galneryus, Grave Digger..."
Featured Today! "Suidakra, Freedom Call..."
Featured Today! "After Forever, Elvenking..."
Featured Today! "Hammerfall, Power Quest..."
Featured Today! "Star One, Sonata Arctica..."
Feature Today! "Crystal Viper, In Legend..."
Featured Today! "TBCC, The Cast Of Shadow..."
Featured Today! "Sorrows Path, Daedalus..."